The title leaders have, their tenure at a given church and the amount of authority they are given are other issues that vary among denominations. Some denominational churches are controlled by a conference or presbytery which not only has some control over the pastor but also does over the church. Churches of other denominations are independently owned and operated (autonomous). While they may be associated with a convention or association, they’re not owned or controlled by them. The major offices and titles you will encounter in your church search are pastor, elder, bishop, deacon and priest. Generally speaking-regardless of what position or title the leader holds within the denomination, the leader of any given church is normally referred to as pastor. Depending on the denomination, these offices carry different areas of authority and responsibility. Only through investigation or by talking to the pastor will you be able to determine what your prospective church believes. One way this shows up among denominations is how long a pastor remains at a church and what voice the church has in who the pastor is. Some churches are owned by the denomination and have limited input in who the pastor is or how long he stays. However, those denominations that have religiously required pastors to change churches every several years are now occasionally leaving it up the church and pastor. Denominations where the member churches are considered autonomous are free to call who they want as a pastor. Tenure and compensation are also set by the local church. If one of the churches you’re considering is affiliated with a denomination, ask how often-if at all, they require pastors to change venues. It would be disappointing to select a church largely because of the senior pastor only to have him re-assigned to another church soon after you join. So if the pastor at a particular church is one of the main reasons you are leaning towards it, find out if the denomination is one that frequently changes out the pastor at their churches. You may be unfamiliar with the term, but a sacrament is something a particular church feels is of great importance in a believer’s life and the church’s life. What they are and what a church believes about them differs between denominations and between the Catholic and Protestant traditions. For our purposes, we’ll only deal with the Protestant denominations we’ve mentioned previously. Almost all Protestant denominations agree Christ only established two sacraments: baptism and Communion (also referred to as the Lord’s Supper). Some denominational or non denominational churches add foot washing. What denominations disagree on is what part the sacrament plays in a person’s salvation. Are they only symbolic or do they in some way contribute to a person’s salvation? We’ve already examined baptism, so let’s look briefly at Communion. Churches and denominations will be different on how often the Lord’s Supper is observed and how they observe it. Some require participants to come to an altar and be served by the pastor while others serve the juice and cracker in the same fashion as the offering is taken. Most denominations use grape juice but some use actual wine. Views about what happens when the elements of the Supper are consumed also differ. On one extreme is the belief that the juice and cracker actually become the blood and body of Christ and on the other is the view they are just symbolic. The denomination you choose will be at one of these extremes or somewhere in the middle. There are three main styles of government you will find in your church search. All have advantages and disadvantages, and some churches may even use a combination. Presbyterian and Lutheran churches use a mixture of presbyterian and congregational style government. Under the presbyterian form of government, major decisions are made by a ruling elder with ordination approved by a presbytery. Methodist churches use the episcopal style of government. Here major decisions affecting the church are made by denominational leadership with ordination approved by the bishop. Most other denominations use the congregational form of government. Under this style of government, decisions affecting the local church are made by the church itself. This includes ordination of its leaders. While denominations disagree on these and other matters, the important thing to remember is that all Christian churches - regardless of the label - believe in salvation by faith in Jesus Christ. 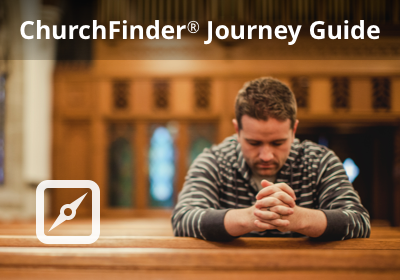 This brief introduction of denominations and Christian teachings, along with your personal investigation into Biblical teachings, will hopefully help you choose a church and/or denomination that you’re comfortable with.